One new title and one updated title were added to Public Core in July 2016. Six titles were retired at the request of the publisher. There are now 840 titles in the Public Core collection. If you subscribe to this package, see a full title list in your Admin account (log-in required), or check it out on our corporate site. 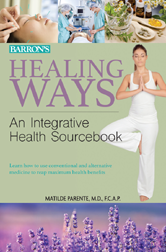 In Healing Ways: An Integrative Health Sourcebook, you'll find important information about conventional and alternative therapies, and how they can work together to help you reap maximum benefits. This approach is called Complementary and Alternative Medicine (CAM), and it lets you combine the best of both worlds: mainstream medical therapies and alternative solutions that have high-quality scientific evidence for safety and effectiveness. 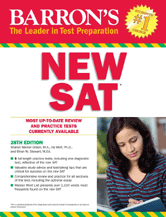 This is the leading resource for SAT preparation, offering tactics, advice, and subject reviews. These titles were removed from your account at the publisher's request. Your catalog should be purged of these records to prevent errors. For a spreadsheet version, or for further information, please contact support@credoreference.com. We apologize for any inconvenience this may cause! A full list of updated and retired titles is always available upon request to support@credoreference.com.